Go Pilsen is an individualized marketing program aimed at helping Chicago residents walk, bike, ride, and share cars more often. 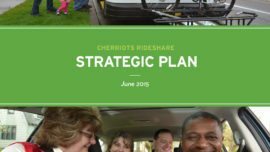 The Chicago Individualized Marketing Program is a Transportation Demand Management (TDM) Program aimed at helping Chicago residents walk, bike, ride, and share cars more often while reducing the number of single-occupancy car trips. The five-year program has reached five neighborhoods including Bronzeville, Pilsen, Edgewater, Albany Park, and Garfield Park residents with direct mail, print resources, community outreach, and events. The project’s strength comes from the relationships built with local residents and neighborhood groups. 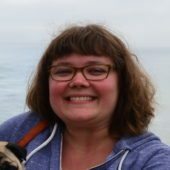 Locally-hired project Ambassadors help foster these connections through working with Active Transportation Alliance, a local walking, biking, and public transit advocacy group and project subconsultant. Preceded by Go Bronzeville in 2013, 2014’s target area was the Pilsen neighborhood – a vibrant low-income neighborhood with strong Mexican-American roots. 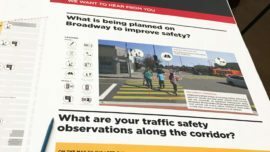 Using an “individualized marketing” methodology, participating households in Pilsen were provided with personalized information, support, and incentives to help them walk, bike, and ride. 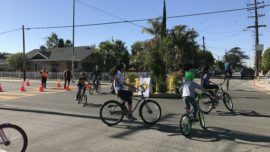 Households signed up to receive “Go Kits” (customized travel information packets) and joined guided walks and bike rides that built community connections and showcased local transportation options. Again, our deep stakeholder work and stellar local outreach ambassadors helped us make the Go Pilsen program just right for the neighborhood. This process led us to a fully bilingual program, where all collateral material and web presence was in both Spanish and English, and where our outreach staff were bilingual native speakers. 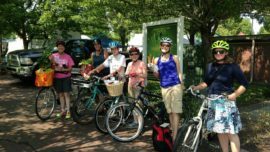 Outreach events also reflected neighborhood culture, with group rides and walks organized around local businesses, growing and enjoying food, family fun, making and appreciating art, and civic engagement. Alta created an overall project brand that is annually refreshed with locally specific icons and a new color scheme for each of five target neighborhoods. Custom-designed collateral material has included postcards, order forms, newsletters, posters, handbills, tote bags, bag tags, magnets, calendars, and incentive items. Alta further developed and implemented an easy-to-use website and a custom order form/database that enabled quick Go Kit fulfillment. Due to the projects’ successes and value within the communities, both the Go Bronzeville and Go Pilsen programs have transitioned into self-led, community organizations independent from CDOT.